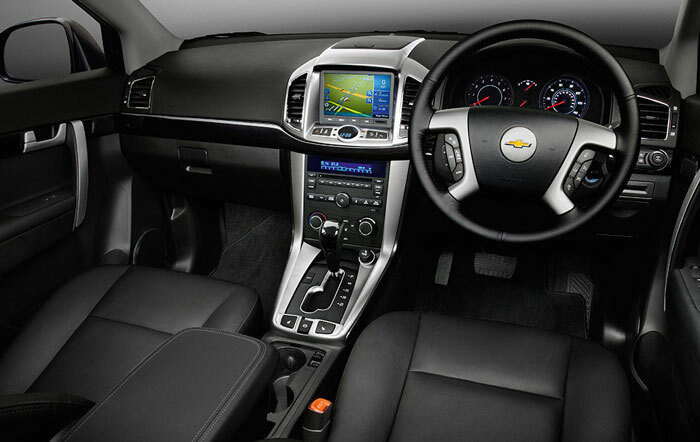 If you are looking for a good sized seven seater SUV but don’t want to pay for a prestige brand like BMW or Audi then the Chevrolet Captiva could be just what you are looking for. This is one smart looking SUV. Exactly what an American SUV should look like. It is made for Chevrolet by Daewoo in Korea in the same factory and where they make the new Vauxhall Antara and both cars share many of the same parts. But whereas you pay a bit more for the Antara and get a smaller car with only five seats go for the Captiva and you get a bigger car with seven seats for less money. 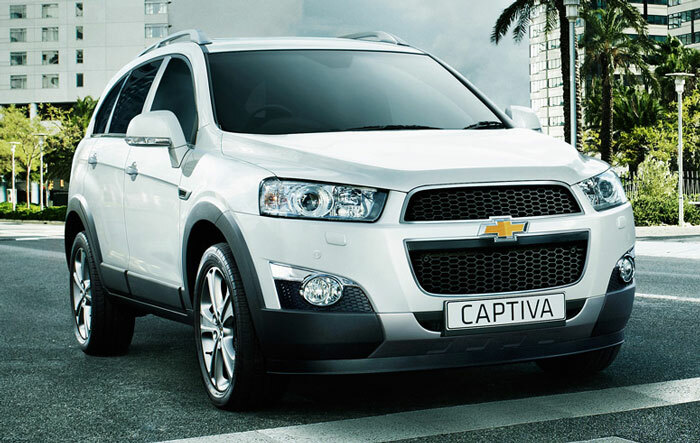 The Captiva comes in three models the LS, LT and LTZ. Make sure you don’t go for the base model though as that one only has five seats. 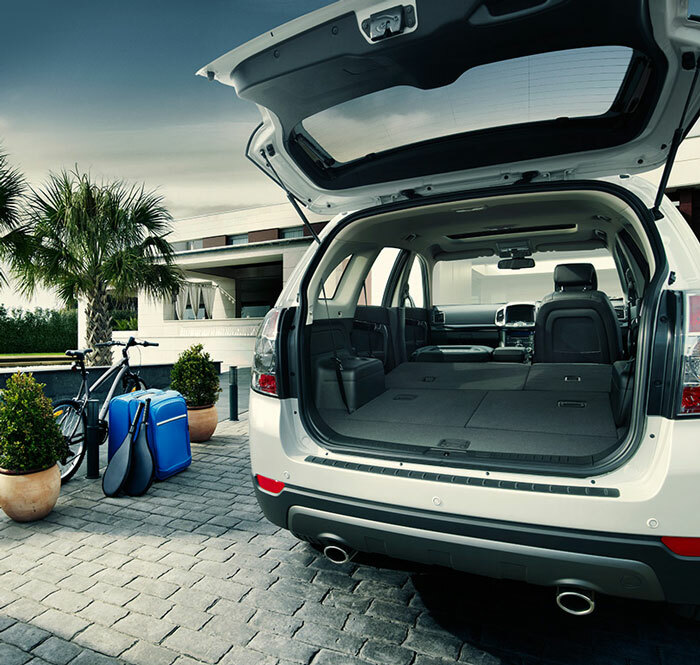 Whilst the Captiva doesn’t have the largest load space in the sector it is all easily accessible with seats that fold down to give a completely flat area. With all seats up there isn’t a lot of room with just 97 litres in the boot but fold all the seats down and you get a good 1569 litres. More than enough for most situations. There is plenty of storage for family needs with a voluminous glove box, the ubiquitous coffe cup holders featuring hidden compartment and a large central flip top storage box. 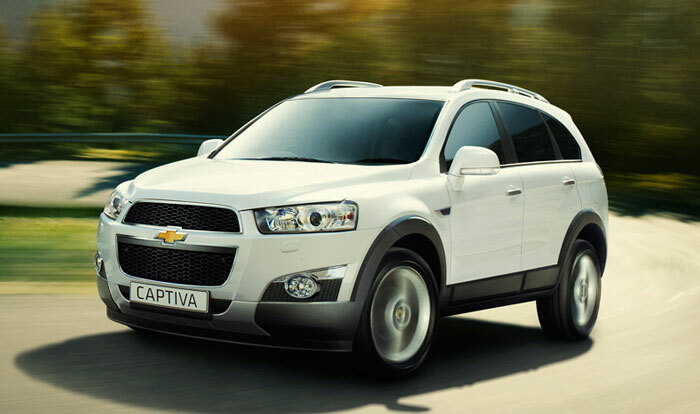 The Chevrolet Captiva achieved 5 Stars in the Euro NCAP tests with good ratings for both adult and child occupants. There are six airbags to protect passengers in the event of a collision. Unfortunately, like many seven seaters, the airbags do not extend to the third row passengers. 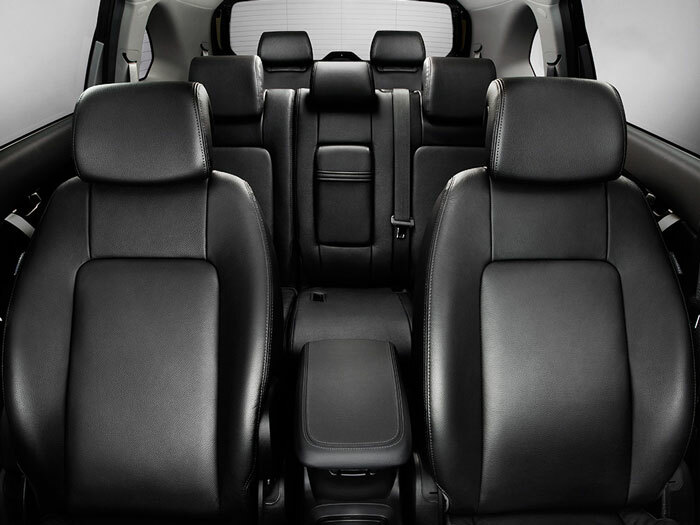 There is a good amount of space in the Captiva for all passengers with plenty of legroom and headroom for passengers on the middle row. Whilst not a full size seat in the middle it is a reasonable size and the floor area is flat. Even the third row seats are reasonably comfortable. The 2.2 diesel engine can be noisy at high revs and there is a fair amount of road and wind noise that intrudes into the cabin. All Captivas come with a 2.2 litre diesel engine which with the six speed manual gearbox transports the car to 60 miles per hour in 9.6 seconds. If you opt for the six speed automatic instead the 0-60 time increases to 10.1 seconds. Some reviewers have said that the interior of the Captiva looks cheap and not well made. I personally found it rather smart looking. I don’t know if that was because the model I tested was the top of the range LTZ but the set up for the driver seemed well designed. It is when you hit the open road that this car disappoints somewhat. The performance is adequate rather than sparkling but the Captiva does not hold the road well and there is a lot of roll around corners. The steering also feels less than precise. Reliability is generally good. There were a few problems with the earlier models, particularly around electrical faults but these have been addressed and recent reports suggest few problems. The Captiva comes with a 5 year warranty as standard and they have a servicing plan available which includes three years servicing for £450. Fuel consumption is reasonable with figures of 44.1 mpg combined for the six speed manual and 35.7 mpg for the automatic. CO2 emissions are 170 g/km for the manual and 208 g/km for the auto. Insurance seems a little high for what this car is with all seven seat models fitting into insurance group 32. If you are looking for something a little different at an attractive price with good equipment levels then the Captiva should be on your shortlist. It is a comfortable seven seater with a good amount of practical interior space. It is let down somewhat by it’s performance on the road.